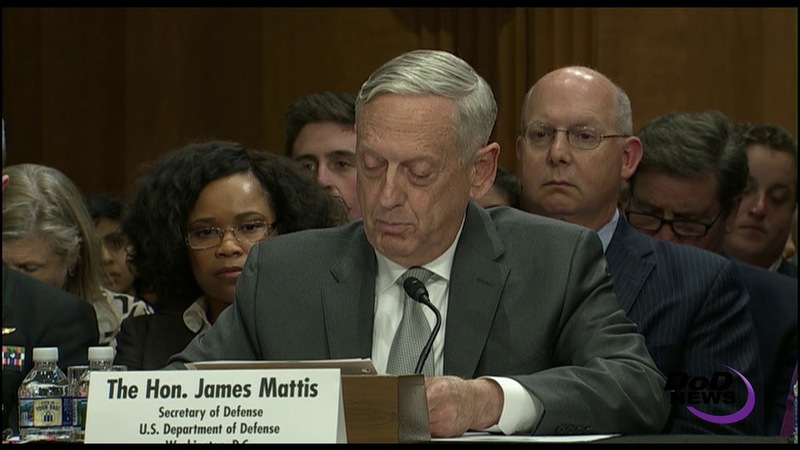 The 2001 and 2002 Authorizations for Use of Military Force remain sound bases for ongoing U.S. military operations against the mutating threat of terrorism fueled by extremism aimed at innocents around the globe, Defense Secretary Jim Mattis said on Capitol Hill this evening. Appearing with State Secretary Rex Tillerson before the Senate Foreign Relations Committee, Mattis testified on use of the AUMFs, under which the U.S. military has been operating since the bills were passed in 2001 and 2002. In the aftermath of the deadly 9/11 attack on the United States, and to prevent future acts of international terrorism against the nation, Congress passed the 2001 AUMF, finding the president has, “’authority under the Constitution to take action to deter and prevent acts of international terrorism against the United States,” Mattis said, quoting the authority. The 2002 AUMF gives the president authority to, “’defend the national security of the United States against the continuing threat posed by Iraq,’” he again quoted. And to date, he added, the Article II authority, reinforced by the 2001 and 2002 AUMFs, has been used to take action against al-Qaida, the Taliban, the Islamic State of Iraq and Syria and associated forces. 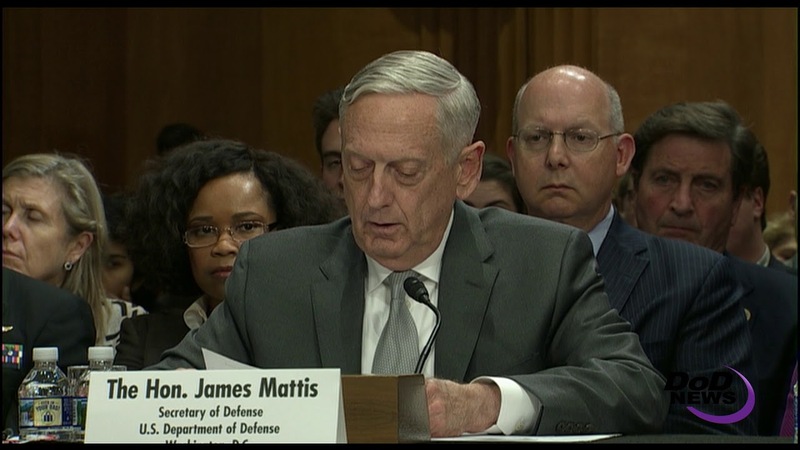 Article II of the Constitution and both AUMFs, “provide safe, sufficient legal authority for us to engage and defeat the current threat -- which we are doing by working by, with and through our allies and partners,” Mattis said. First, he said, the two AUMFs should not be repealed, and after several court cases and debates, all three branches of government seem to agree that both have sufficient authority to prosecute operations against al-Qaida, the Taliban, and ISIS. Further, such repeals would signal our enemies and allies we are backing away from the fight, Mattis said. “It would stall our operations, immediately reduce allied commitments and support, and create significant opportunities for our enemies to seize the initiative,” he said. Repeals of the AUMFs without new authorities would also deprive the U.S. of the ability to detain dangerous enemy combatants who could be released to fight again, the secretary added. Second, a new AUMF cannot be time-restricted, the defense secretary said. A conditions-based AUMF would not lessen Congress’ authority, and the purse strings lie in Congress’ hands if the executive branch “does not present a persuasive case for continuing the campaign,” he said. And finally, a new AUMF cannot be geographically constrained, the defense secretary said.